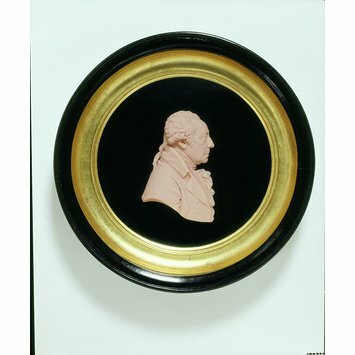 Peter Rouw (1771-1852) was a successful wax modeller, who specialised in portrait waxes. He was also appointed modeller of gems and cameos to His Royal Highness the Prince Regent. Matthew Boulton was a Birmingham industrialist whose ormolu and metalwork were renowned, and were exported abroad, especially to Russia. He was a friend and rival of Wedgwood in the field of luxury commodities. Wax portraits and figure groups were popular in Britain during the 18th and early 19th centuries. The malleability of the material meant that it could be modelled very naturalistically. As casts could easily be taken, and wax was relatively cheap, reproductions could be made and sold at low prices. Sometimes colour was added; pink colour of this portrait was favoured by Rouw and other portrait modellers. Some wax pieces were naturalistically coloured, and adorned with textiles or other additions, such as glass jewels, increasing the realism of the pieces. 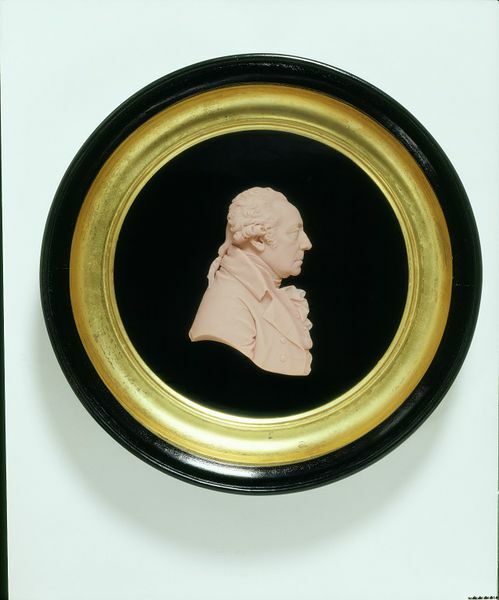 Portait relief of Matthew Boulton, framed. Modelled in London, after Boulton's death, by Peter Rouw the younger (born, 1770, died, 1852). Given by Charles Vine, Esc. in 1871. Angus Patterson, "A Timely Acquisition: The V&A's Matthew Boulton Pattern Book, ca. 1779", Journal of the Antique Metalware Society, Vol. 17, June 2009, p. 58, ill.